Modine leads the film and is present throughout. 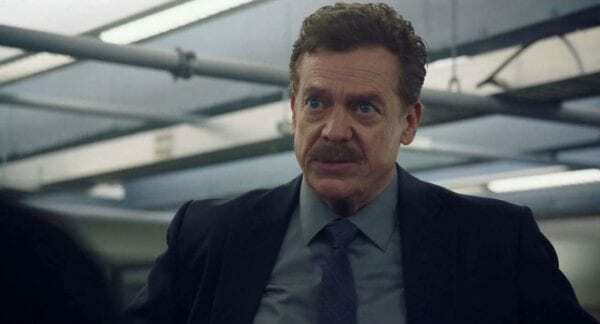 After a heist gone wrong an amnesiac criminal who is taken out of prison and administered with an experimental drug in the hope of remembering where he hid the money. Stallone, who has a small supporting role plays a cop. 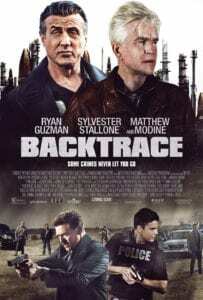 Backtrace has the hallmarks of most of Bruce Willis’ recent films. It’s kind of half-heartedly put together. It’s cheap and it all feels a little careless. Brian A.Miller, the director has indeed helmed a selection of Willis films. The norm is usually to give Willis front and centre on the artwork but a supporting role in the film, which he more or less phones in. Simply replace Willis with Stallone. It’s exactly the same here and Sly has rarely looked so disengaged with a project. He’s picking up his paycheck and not much else. 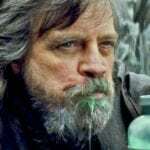 The film suffers from a convoluted and hackneyed script, further hampered by tired direction, flat photography, and some stylistic choices (particularly relating to the drug side effects afflicting Modine’s protagonist) which get tiresome very quickly. The cast are almost universally lifeless, but I give Modine credit for really putting effort into what he’s doing here and trying to inject some life, some interest, into his role. 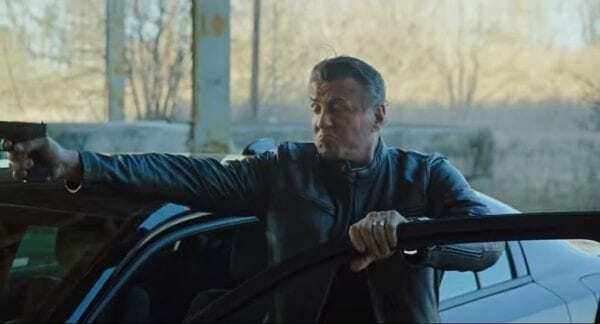 There’s just absolutely nothing to suggest this was approached with care, beyond simply being churned out as quickly and efficiently as possible, but a severe lack of artistry and flair means that Backtrace has very little to recommend, and die hard action aficionados, looking to see Stallone in action will be particularly let down. Not just from his lack of screen-time, but his total disinterest in the role he’s playing.